After many adventures (exams ) I have just re-write a big part of the POLSC's code in order to compile it correctly in Unicode. What is the use of it? A POLSC respectful of the Unicode doesn't need anymore external libraries to work. Only the wxWidgets' official package (yet installed as a dependency of POL) is necessary. So the piece of software is now lighter and faster (the .pol package only weight about 150 ko). Some functions have been re-coded for a better respect of the encodings. Except the implementation of 3 new POL functions, sadly there isn't a lot of news in this version. But now I will have more time to code. By the way, I start today to rebuild and complete the assistant in order to finally be able to make a script without typing anything. The plugin is available in the download section. See you soon for a new version. - A menu to set the capture's conversion parameters was also added. Tonight, we have a new scripter for our staff: Toumeno. He is a member of the community for a while, you maybe met him on the forum or on the IRC channel. He is also yet the author of the following scripts: Caesar III, GTA 2, GTA 3, Pharaoh, RollerCoaster Tycoon 2 and Microsoft Office 2000. Let's wish him a warm welcome and good luck for the future. 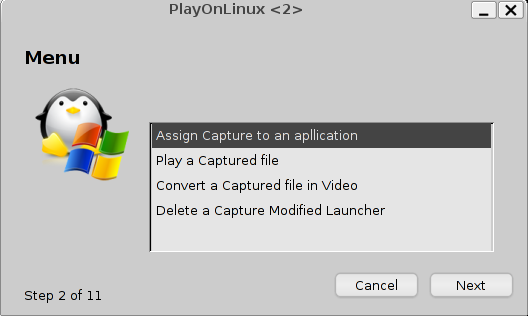 It's been a long time I was thinking that PlayOnLinux had to have a native capture system, like the famous FRAPS for Windows. It's now done with Capture, a plugin which will allow you to record your exploits in your favorite game!!! 3-When you will use this launcher, the following message, indicating that the capture will start or will stop with <SHIFT>+F8, will be prompted. Note: You MUST stop the capture before leaving the game else the capture's file will risk to be corrupted!! 4-Once your capture finished, you can either visualize it, or convert it to avi (Video x264 - Audio mp3), the capture and the converted video are stored in the POL_Capture folder, situated in your home directory. 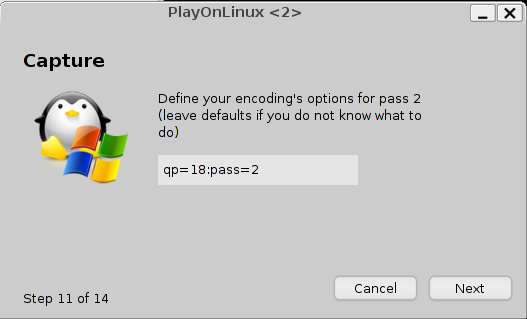 PlayOnLinux 2.7.2 is available today. message_one "Your message" "Your title" A_Unique_ID"
- A little message indicating the allowed languages on the channel. - nick-pol replace nick-playonlinux as default nickname. - It supports now versions >= 0.9.60. Indeed, since this version, the packages' algorithm has changed to lzma. (means lack in French, the function will be translated later) It is designed to be used after check_depend. It displays the error message if check_depend didn't succeed. 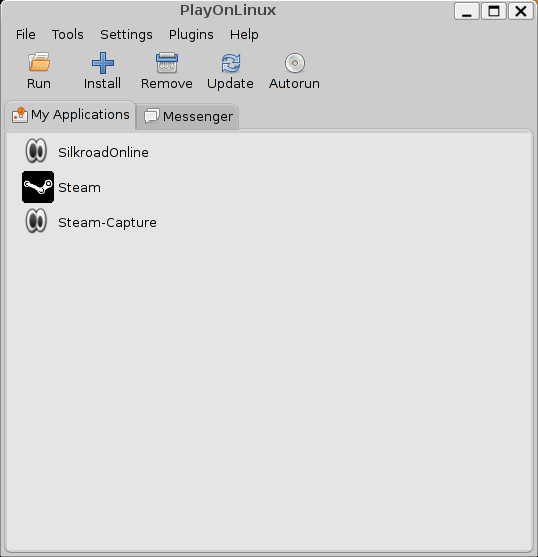 This plugin allows to import your cedega launchers in PlayOnLinux and to use the cedega engines. Cedega's scripts aren't yet supported. The Valve's Source engine soon Linux native? It's been several months that we don't know anymore if we can hope or not. In September 2007, the Valve editor was publishing a « Senior Software Engineer » job offer with the responsibility of porting Windows-based games to the GNU/Linux platform. But once this offer announcement done, we never heard about it anymore and it wouldn't have been the first disappointment about a game's port to GNU/Linux. 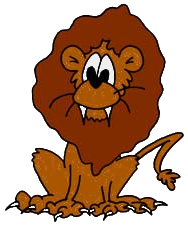 It's the excellent Phoronix.com website which just went back over that story. In an article by Michael Larabel, the website's administrators claim they have informations from Valve, confirming that the Source engine's port was effectively started. Knowing this site's serious, we can trust in those words. But can we do the same with Valve's word? But what is this « Source engine »? It's simply a software rendering layer created by Valve for their games. The Source's particularity is to used by numerous and sometimes famous games! Nothing less than Half Life², Counter Strike : Source, Team Fortress and Portal! To put it plainty, all Valve's great games (Source is also used by other editors' games but they are less famous). Source originally used DirectX, the 3D library from Microsoft, so this port requires a big modification to use OpenGL too (such as Quake's engines). Source is a little bit old (2004) but it is regularly updated to sensibly limit the obsolescence of the technology. Thus, the Source's port would be strategic, it would give access to a number of games -and by the way, excellent games- made in Steam. Info? Intox? Nothing isn't yet done. When reading this, we can feel either totally overexcited as well as totally septic. But Phoronix used to finish their articles with a positive note. So they remind us that they predicted, one year ago, a new AMD/ATI driver generation and their video cards' specs release. "Fear me! I want games! 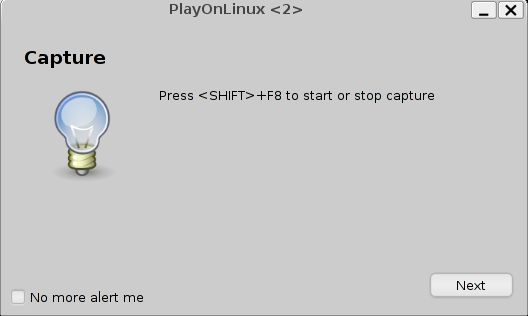 What's on tonight at PlayOnLinux? We have new games available!! You incarnate the humanity's last hope against the Covenants, an interplanetary sect which gathers together several alien races that are game for anything to defend Halo, a huge ring wandering in the space and containing an horrible secret that will endanger the whole universe ... it's your turn to take up the challenge!! Bored of Half-Life 2's old graphics? Want to rediscover an incredible trilogy, enriched by the unused game's content? So this mod is for you!! Plunge back into a game with a darker and more oppressive atmosphere as well as increased textures and models. Since last versions, we included in "Install" a scripted games' list with icons. 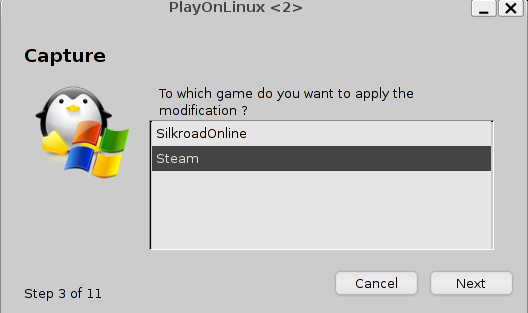 But since we don't own every game, we need you, our POLian friends, to extract the games' icons in order to complete the list and make PlayOnLinux more convivial. Once done, host them as you can and send us the link (to Tinou or Zoloom) . PS: We are also seeking screenshots of your favorite games (yet scripted of course) of seize 200x150, as well as a small description of the game (in English).